Crowdsourced testing—also called crowdtesting—allows companies to test software, websites, and applications through a large network of individual users. Crowdsourced testing software connects a company to this network of test users, providing these users with access to the software or application(s) in question and enabling them to test on their own devices. Crowdtesting is extremely valuable in the digital age due to its natural tendency to create highly diverse testing, since a crowd of users likely tests across multiple device types and settings. DevOps teams find the greatest use from crowdsourced testing software. It allows developers to get feedback about software, websites, applications, and their target endpoints directly from users before publicly releasing the product itself. Furthermore, if the crowdsourced testing solution captures logging as well, then developers can evaluate those logs should any errors occur during the testing process. This user testing can be performed alongside test automation software and other software testing tools. Crowdsourced testing can also be thought of, in a way, as an external version of peer code review software, as it involves human review as opposed to automated checks. As a global leader in software crowdtesting, test IO enables fast moving software development teams with a platform for on-demand QA testing throughout the entire development cycle. Test setup takes just minutes, and we dynamically allocate human testers in real-world conditions to fit your specific testing needs. No more QA bottlenecks at the end of your sprints -- test IO makes software teams both faster and more flexible. 99tests is Testing Platform with 20,000 testers. We help companies in getting 90% Selenium Test Automation Coverage in just one month. 99tests can enable any product to become bug free with crowd testing to find bugs and Test automation for regression testing of Mobile and Web Applications. Lean Testing is a free hosted test management solution. Its clean interface does not contain too many features, leaving just enough space for the ones that you need to manage your testing process efficiently! 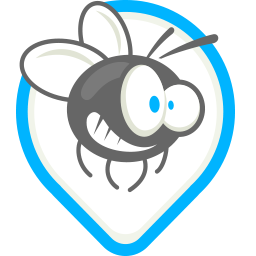 Its bug tracker is designed for highly productive software development teams, with task assignation, a comments system and even bug reporting templates. Lean Testing is the most user-friendly bug tracker out there! We help people discover how simple software testing can be. A crowdtesting community with all the testers you need to get your mobile application tested. 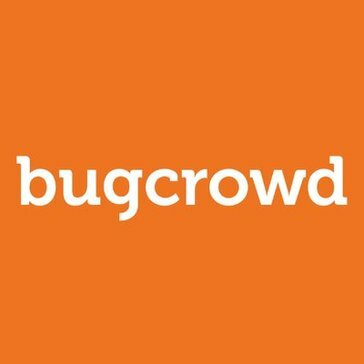 Bugcrowd is the world’s #1 crowdsourced security company. Our award-winning platform combines actionable, contextual intelligence with the skill and experience of the world’s most elite hackers to help leading organizations solve security challenges, protect customers, and make the digitally connected world a safer place. Crowd4Test is a crowdsource testing service platform, designed to help users manage the defect tracking and reporting for analysis. crowdsprint offers crowdsourced testing for websites and apps. Crowdtesters provide crowdsourced testing services. We allow tech teams to leverage over 20,000 vetted professional testers with real devices in real environments in over 105 countries. By taking a customer-focused approach to quality, hundreds of leading brands including Facebook, Microsoft, General Electric and iHeartMedia rely on Global App Testing’s platform to improve quality at a speed that allows Agile and DevOps teams to release faster and more often. Synack is a crowdsourced penetration testing, vulnerability orchestration, analytics and risk reporting platform. Test Army is a crowdsorced testing platform. Usabitest is a Crowdsourced Testing company. Hi there! Can I help you find the best Crowdsourced Testing solutions?